Read here about the activities we’ve planned to mark the event. 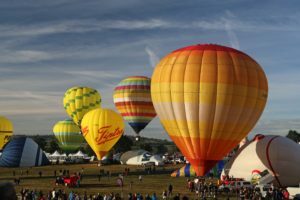 The resources on this page have been collated in collaboration with the charity Jonathan’s Voice. Jonathan’s Voice was founded in late 2017 in memory of Jonathan McCartney, a patent attorney who tragically took his own life. The charity’s purpose is to promote mental wellbeing in the workplace, increase understanding and awareness of suicide, reduce the stigma that often surrounds mental health and empower people to speak about it. It seeks to educate and encourage organisations to create the right policies and practices to support employees with their mental health and wellbeing. At IP Inclusive we believe that mental health support is key to an inclusive working environment, which is why we will be working with Jonathan’s Voice to improve mental health throughout the IP professions. We are extremely grateful for their support, encouragement and guidance. Mental ill health is very common – the Department of Health and Social Care suggests that one in four of us will experience it at some point in our lives. And anyone can suffer from its effects, ranging from feeling unmanageably stressed to conditions such as anxiety and depression. A limited number of people experience more severe mental health conditions such as bipolar disorder, schizophrenia or obsessive-compulsive disorder. Some of these conditions can be persistent and may be classed as a disability, whereas others may come and go leading to good days and bad days. With the right support, someone with a diagnosed mental health condition can still enjoy positive mental health. Let’s talk about this, honestly and openly. It matters. Try taking the SAMH assessment yourself: the link is here. There are of course other similar tools available elsewhere online; just take care not to cope with the results on your own, but to talk them through with a trusted friend, adviser or healthcare professional. There is plenty still to be done to support IP professionals who are suffering from, or at risk of suffering from, mental health problems. But there is also a lot of support already available. We’ve provided some resources below which we hope you will find useful, whether you’re an IP professional or an employer or manager of IP professionals. Many are links to existing sources of information and help. Please feel free to make use of the resources we have provided, and to contact us with your feedback or to let us know of other materials you would like access to on this page. Nobody needs to suffer alone. You may also want to check out our news and features page and filter using the tag “mental health”: you’ll find practical tips, information and shared personal experiences, to reassure, guide and possibly even inspire you. If you’re an IP professional and you’re suffering from mental health problems – or think you may be – please don’t suffer in silence. There are plenty of places you can go for support and guidance. Please, please talk to someone (a friend, colleague or family member, for instance, or an independent helpline) before the problem gets too bad to cope with. If you can, seek help from a GP, counsellor or other healthcare professional. 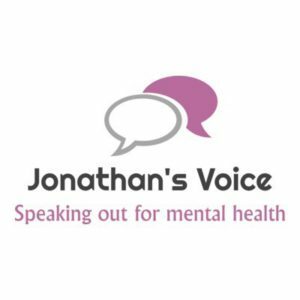 First up, if you’re just a little bit concerned, or want to make sure you’re looking after your mental health, check out the guidance available on the Jonathan’s Voice website, in particular “Five ways to mental wellbeing” and tips for managing stress at work. LawCare offer a free, independent and confidential helpline which is open 365 days a year for legal professionals (including CIPA and CITMA members). Their trained staff and volunteers have worked in the law and understand the demands of legal education, training and practice. The service is there for anyone who works in the legal profession – at any level, and in any kind of role – and also for their families. The Samaritans are available 24 hours a day, 365 days a year, for everyone. Again their helpline is free. You don’t have to be suicidal to call them. These and other resources are summarised on the “Need Help” page of the Jonathan’s Voice website. If you feel you’re in crisis, need urgent help or are even thinking about suicide, please please get in touch with one of them. Also worth a visit is the website page on “Resilience and wellbeing” created by the Junior Lawyers Division of the Law Society; this links to a wide range of information, guidance and articles likely to be relevant to IP professionals. Please note, however, that although there are lots of valuable resources available on the internet, it’s worth remembering that not everything you read may be helpful, so try and avoid reading too much alone. If you’re struggling and some of what you read describes how you’ve been feeling, it’s often a good idea to talk it through with someone else (maybe a friend or a relative or a professional that can help such as your GP or a counsellor). Depending on where you work, your employer may offer an employee assistance programme or occupational health scheme, or access to mental health support via a private health care policy. It’s always worth asking your line manager or an HR colleague. Your organisation may also have a trained “mental health first aider” you could speak to. Mental health first aiders are not, and are no substitute for, mental health professionals – but they can give you pointers to more appropriate sources of help. If you belong to a membership body such as CIPA, CITMA or the Law Society, they too may provide access to support for their members in times of either physical hardship or mental ill health – again, it’s worth asking. Some mental health problems can be caused, or exacerbated, by other things going on in our lives, for example relationship problems, physical illness, bereavement, dependants’ needs or financial difficulties. It’s beyond the scope of this website to list the support available in these situations, but do bear in mind that if there is something other than work that’s causing you problems, you may need to seek help with that as well. Again, the best advice is to talk to an independent professional (for instance your GP, or a LawCare adviser) who should be able to help you identify where the problems lie and point you in the direction of appropriate advice and support. We all need to look out for one another. That’s part of what makes an inclusive profession. If you’re worried about a colleague’s mental health, it can be hard to know what the right thing is to do for fear of making things worse. But having a conversation doesn’t have to be awkward and being there for someone can make a huge difference to their life. There is a lot of really good advice about connecting with those who may be struggling with mental health on the Time to Change website. It’s well worth exploring this site, which includes videos and personal stories to guide and inspire you. In particular, take a look at the page in the “Support Someone” section entitled “I want to be there for my colleague”. The Mind website also carries useful information on “Helping someone else”. If there are any mental health-related stories in the news (and there often are), that might be a way of getting a conversation going. Ask twice. Sometimes people say they’re fine when they’re not. Again, Time to Change provide a guide to asking twice, which also helps if you’re worried about what to do when you’re not yourself an expert on mental health. It might be appropriate to signpost your colleague to one of the sources of support under “Help for you” above. For example, your organisation may have a mental health first aider they could talk to. Of course, it can be a very hard decision for a person to trust someone enough to share their mental health difficulties. Please treat the information they give you with the utmost respect, tact and confidentiality. That said, if you’re really worried that a problem may be serious or urgent, it may be wise to let a manager or HR colleague know to make sure your colleague gets the help they need at the time they need it. If you employ IP professionals, here are some things you can do to promote and maintain their mental wellbeing. The most important is to encourage a working environment where mental health can be openly discussed, without stigma or judgement or negative impact on your team members’ professional development. Sometimes, just talking about it can vastly improve your workplace culture and employees’ wellbeing. A resource you might find useful as a starting point is the Business in the Community Mental Health Kit for employers. The aim of this toolkit is to help organisations support the mental health and wellbeing of their employees, and it’s designed with both SMEs and larger companies in mind. Create and implement a mental health policy or plan. Even the act of introducing a policy can create a more open working environment, by signifying to your employees that workplace mental health is something you are aware of and take seriously. Assess the mental health risks in your workplace and take steps to address them (including, potentially, better capacity planning and flexible working arrangements). Introduce training for your team members, for example in “mental health first aid” (see below), stress management or inclusive behaviour. Set up an “employee assistance programme” or other workplace scheme that guarantees your team members access to professional support when they need it. Introduce mentoring or “buddy” schemes. Encourage staff to discuss mental health in the workplace, involving senior members as role models to create an atmosphere of openness and candour. Use Mental Health Awareness Week as a focus for activities and events to raise awareness of mental health issues, or other similar events such as Time to Talk Day, World Suicide Prevention Day or IP Inclusive Week (see the events page of our website for a useful calendar). Sign the Time to Change “Employer Pledge” (see below). Take a look at the report of IP Inclusive and CIPA’s 2018 survey on mental wellbeing in the patent profession, which contains further recommendations for employers in the IP professions. This template has been created by IP Inclusive in collaboration with Jonathan’s Voice. It’s free for our supporters to download and use in their own organisations. Even if you only use parts of it, you may nevertheless find some useful ideas there for good mental health practices in the workplace. Visit our resources page to see what else we have available, or check out our news and features and filter using the tag “mental health”. “Mental health first aiders” are individuals in an organisation who have been trained on a course to spot the symptoms of mental health issues, offer initial help and guide a person towards support. The course normally lasts for two days. It doesn’t train people to become therapists but it does teach them to listen, reassure and respond, even in a crisis – and potentially to reach out to someone before a crisis happens. There are a number of organisations that offer training but Mental Health Fist Aid England is the only organisation in England permitted to provide mental health first aid instructor training licensed by Mental Health First Aid International. All instructors deliver the same programme but they may have different styles. Check first that a particular instructor will suit your organisation. Will your organisation sign the Time to Change Employer Pledge to demonstrate your commitment to change the way of thinking and acting about mental health in the workplace, and to make sure that individuals who are facing these problems feel supported? It makes business sense: more than 900 employers in England across all sectors have already signed, and 95% of them have noticed a positive impact on their organisation as a result. Importantly, please please share your experiences as an employer, including the policies you implement and their effectiveness, with others in the IP Inclusive community. We’d love you to contact us with your ideas and feedback.